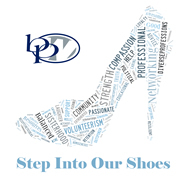 For several years now, BPW / St. Petersburg-Pinellas has budgeted for those members who may have had financial difficulties that might prevent them from renewing their membership. In 2014, following the death of long time, active member, Larry Renda, these funds were renamed the Larry Renda Memorial Scholarships. They are intended to help members who are active to remain members in good standing. Larry Renda was a member of BPW / St. Petersburg – Pinellas for more than a decade. We met Larry when Tami Simms quite literally ran into him at a Chamber of Commerce Showcase and he asked if BPW allowed men to join. Tami explained that it would be hypocritical for an organization so dedicated to equality, to discriminate based on gender. All he needed to do was support our mission…and support he did. Larry was a very active member during his time with us serving on committees, hosting holiday parties and strategy sessions and raising thousands of dollars for the BPW/FL Education Foundation as well as our own local Connie Passmore scholarships. He was a kindhearted man who would lend a helping hand, a shoulder to cry on, or a well dressed arm at a charity gala. The membership scholarships were named for him because he embodied what it meant to be a member of BPW/St. Petersburg-Pinellas. Larry Renda Scholarships are only available to existing members with at least one year paid membership. To apply, simply send a letter to the Executive Committee stating your intention and detailing you level of involvement with BPW.